It has been a tough pre-season for FC Barcelona Lassa's high-flying swingman Adam Hanga, who underwent knee surgery in June. 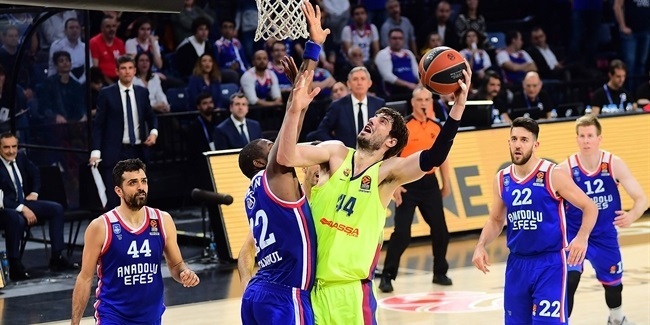 Hanga got hurt in March and showed great commitment, playing in pain for the remainder of the season before having a therapeutic arthroscopy in his left knee. He returned to Barcelona to work on his own and is about to re-join the team. In the meantime, Hanga had the opportunity to attend a press conference in which Juan Carlos Navarro confirmed his retirement and saw two of his teammates get captain roles. 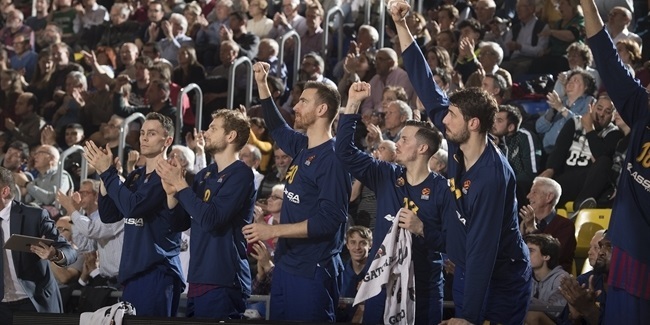 Hanga is back to blog on EuroLeague.net, all season long, as he tries to help Barcelona reach as high as possible! First of all, I have to say that unfortunately, it has been a different preseason for me. We started later than most other teams but it is going to be a long season for everyone, with a lot of games and a lot of traveling. Our pre-season was here in Barcelona, so basically, we didn't really travel that much. As a team, we really think it is a good idea, because like I said, there is going to be a lot of traveling very soon, so it is a good thing that we prepared for the new season here in Barcelona, our beautiful city, a perfect situation for us. I think that our team is trying to find our way, how we are going to play as a team. Everybody is trying to find their roles. We have six new players on the team who are trying to find how they can fit into our system. Our coach also wants to see how our players can help the team. We are in a transition to became a good team with good chemistry. I pretty much knew every new player coming in - all of them were former teammates or I played against them. Our coach and management wanted to sign players who had previous experience in the Spanish League. All of them but Chris Singleton had played in the Spanish League before. Kevin Pangos and Kyle Kuric even played together at Gran Canaria. Jaka Blazic has a lot of experience in the Spanish League and the EuroLeague, too. Our team had the idea to count on players like that, and it is a good move because players need less time to adjust to both competitions, and be good in both of them. "I have to say that I hate being injured!" I said it was a different preseason for me because I underwent surgery in June. First of all, to be honest, I have to say that I hate being injured! Preseason has started and I have to be in every practice, in every game, watching my teammates play and knowing that I cannot be with them on the court. It really breaks my heart, hurts my feelings. Anyway, I knew I had to go through this when the season finished - and to be in crutches for six weeks. Most of the time I was in Hungary, doing my rehab in my home country with a physiotherapist who was working with me. We progressed really well and I came back to Barcelona about a month ago. Rehabbing takes a lot of effort and a lot of work, and sometimes you don't really feel how you are getting better, but you improve every day and feel your leg stronger. I am sure I am moving in the right direction, but I will not be able to play our first official game, the Spanish Supercup. I read somewhere that I would be ready for preseason, but it was not true. I have to see how my knee will react in the next couple of weeks and, hopefully, I will start working in the gym and on the court. We will see how things go but I believe everything is fine. There is no rush: it is better to miss some games at the beginning of the season than coming back a little bit earlier, struggling and missing games again. When I am back, I want to be 100% healthy and help the team. So I will come back only when I am ready, physically and mentally, because that will be good for me and the team. I am working really hard to be back as soon as possible because like I said, I hate being injured! We all went to Juan Carlos Navarro's press conference the other day, in which it was announced that this number will be retired soon. What can I say? He is a legend and I personally think that every basketball player should thank him for having such a great career. For me, it was a dream come true to sign for Barcelona and play with him after watching him on TV for so many years and playing some games against him. He did amazing stuff, incredible things during his career. I wish we could have won another title last season so that he could have walked away with another big trophy, but at least we won the Copa del Rey, so at least we saw him lifting that one before he retired. I just wish him the best in life after basketball. Juanqui always finds his way, on and off the court, and I am sure this is what he will do from now on. Playing against him was really difficult! It was so hard to guard him! A lot of players, including me, struggled to stop him. When he was hot, it was almost impossible to stop him. He had so many ways to score, so many tricks on offense... it was impossible! I love to play defense against guys like him and even when I was more physical, he would always find the way to score. "Juanqui always finds his way, on and off the court, and I am sure this is what he will do from now on." Ante Tomic is our new captain. He has been on the team for a long time and knows the club and its situation, what it means to represent Barcelona's jersey. He is a player whom everybody respects and listens to in the locker room. Everybody says, and I guess it is OK to say it, that is sometimes like a point guard on the court because of his court vision and high basketball IQ, and he has the right age and experience to be a good captain. The club made the right choice with the first and second captains. Pierre Oriola is our second captain and represents what Barcelona's character is, because he has been a Barcelona fan since he was a kid. It is a good combination, they will help each other out and be role models for us. We have a lot of talent and potential this season, but this is basketball and every team in Europe is preparing to have a good season, as good as it can be. This is a process and we are trying to get better and better every day. I think that our team is working hard to get there. It is still pre-season and we will see what we can do when we play our first official games at the Supercup. 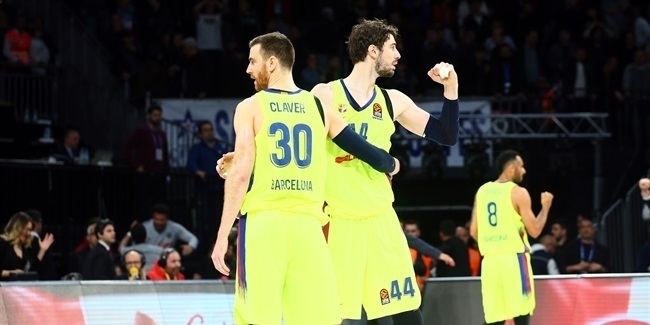 We will play against Baskonia in the semifinals after losing against them in the Spanish League playoffs last season. It will be a long season, all teams will have ups and downs, and those who work harder and keep their heads down will succeed. And we hope we can work harder than anyone. If we do, good results will come!